Cool nights and warm days make perfect fall weather. Or as the stores like to call is "Candy Corn Season." Not that we are complaining. Candy corn is the perfect sweet treat to kick off the making fall recipes, and we found a couple of sweet things to get your started. 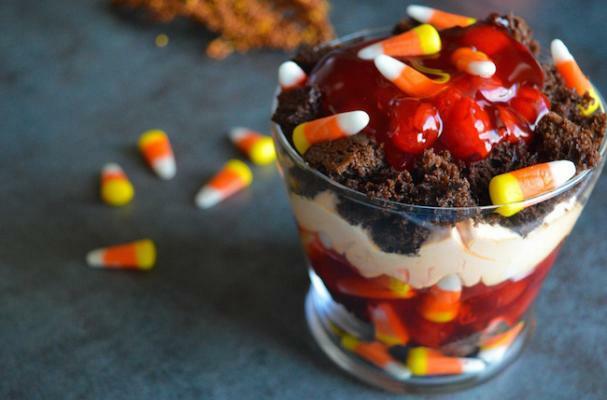 First off, the Candy Corn Trifle. Thanks to Foodista contributor Mary Walker, for this pretty dessert. Cubes of chocolate cake are layered with cool whip and cherry pie filling. Then, a sweet layer of candy corn gives it the festive look. This dessert would make a fun Halloween theme, or even Thanksgiving dessert. Cookies are a family favorite on the farm, and adding candy corn is a delightful way to celebrate this favorite time of year. These cookies are not only tasty, they hold up well in the lunchbox, making them perfect for reminding your little chefs that you are just as excited about the holidays coming as they are. Foodista contributor, Culinary Envy, has shared a winner! 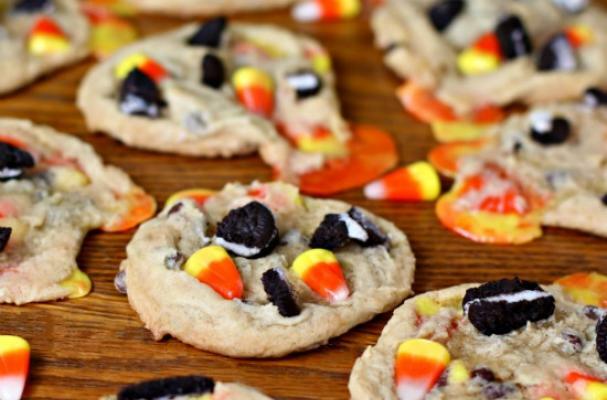 Of course, these recipes are wonderful if you can avoid eating all the candy corn straight out of the bag, or is that just me?